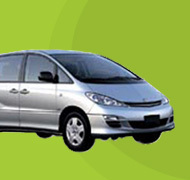 Car Loans & Car Finance : car finance, boats, trucks, caravans. Lendcorp Finance Brisbane. If you are looking for pre-approval on new car finance or used car finance, save yourself the hassle and get in touch with one of our professional finance brokers today – even before you start looking! Your personal Lendcorp financial broker will assist you one-on-one, every step of the way. We have the experience and the knowledge to help you get the right loan at the right price. If everything is approved, you can often drive away the same day! We will then investigate and ensure there are no monies owing on the vehicle. 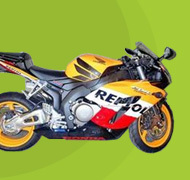 Lendcorp Finance can provide finance for motorbikes and motorcycles. If you are looking for pre-approval on finance or loans please speak to one of our professional finance brokers. Want to find out more or apply for your pre-approval? Contact us now on 1300 880 089. Whether you need to finance a motor vehicle for personal or business use or are buying a car privately or through a dealership, we can tailor the right vehicle finance or car loan facility to suit your needs. Lendcorp Finance can arrange “pre-approved” vehicle loans and car loans over the phone. A “pre-approved loan” gives you more bargaining power and peace of mind before you start your search for that new vehicle: car, light commercial truck, or motorcycle. Which Loan Best Suits You? Lendcorp Finance can offer a consumer mortgage, chattel mortgage, finance lease, novated lease or hire purchase. Each of these have different advantages for your situation. Take a look at our finance & loan options for a brief description of each option, view the finance comparison chart and/or contact a broker right now to discuss which loan suits you best. Or by using our online tools you can make an instant online application. Our car finance and motor vehicle finance services are targeted at clients in Brisbane, on the Gold Coast and throughout Queensland however we also provide finance to clients all over Australia. Call us now to talk to a professional car finance broker and find out which facilities will best suit your needs. Lendcorp Finance are proud to have established strong relationships with a number of Brisbane car dealers and other motor vehicle dealers in Brisbane & Queensland. 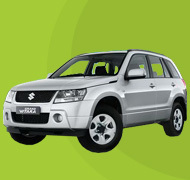 If you want help finding a car, truck, boat or caravan view more information on our car dealers page. Apply online now. Approvals can be obtained within 10 mins.